Drinks courtesy of Amanzi Tea. 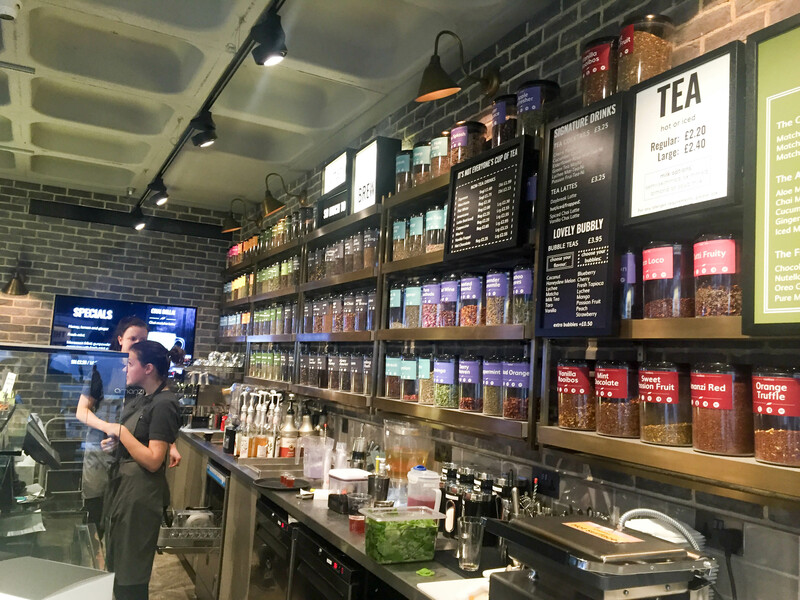 With over 150 different types of loose-leaf tea, Amanzi Tea hosts one of the widest range of premium quality unique blends in London. 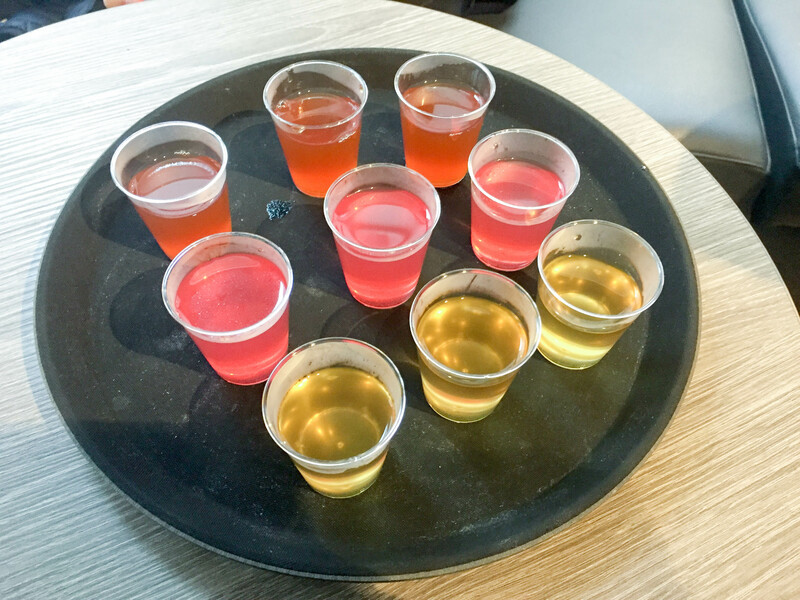 Amanzi offers a range of white, black, green and exotic teas. Matcha latte and Matcha frappes also highlight the menu, a range from super-detoxing matcha ginger to matcha chai. 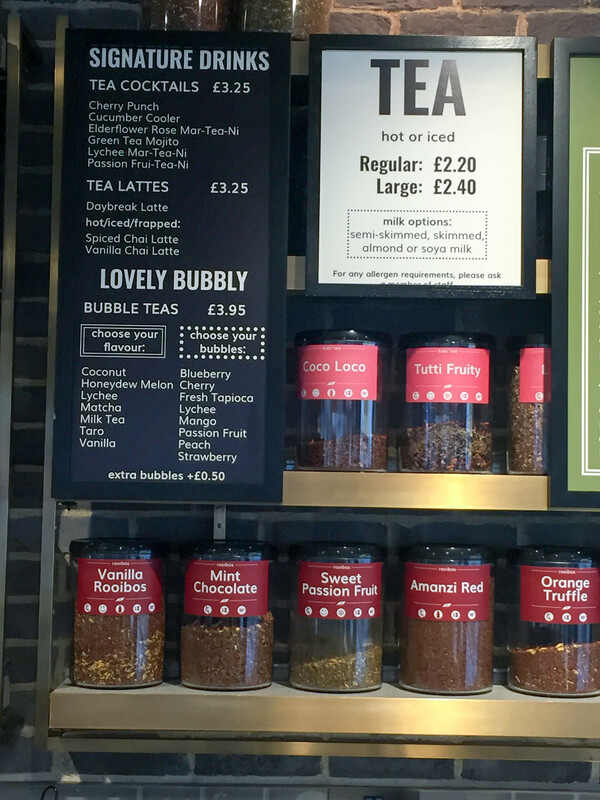 Classic teas are also available such as English Breakfast and Earl Grey, with food available sourced from Cocomaya. 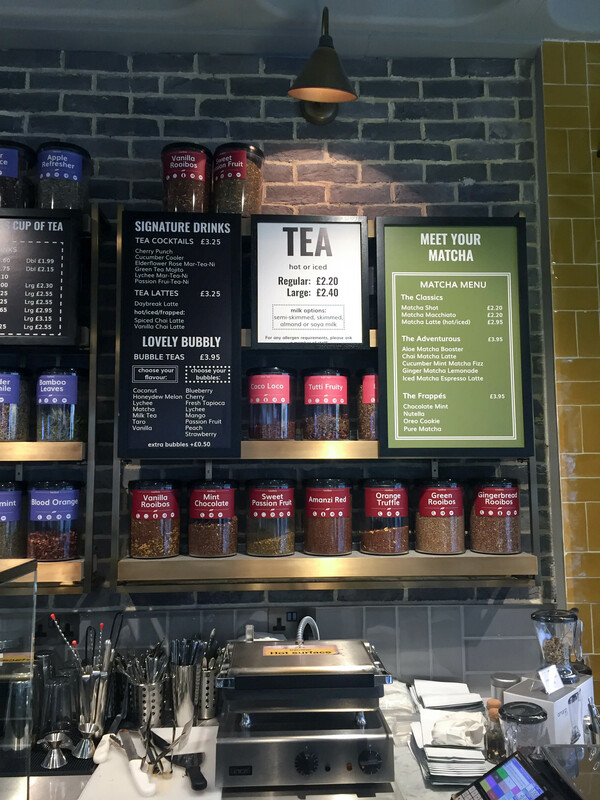 Situated just off Brewer Street is its second branch, with the original Amanzi located in Marylebone offering a similarly extravagant range of teas. Calling themselves ‘tea-ristas’ you’ll come to find them to have extensive knowledge on the variety of teas. 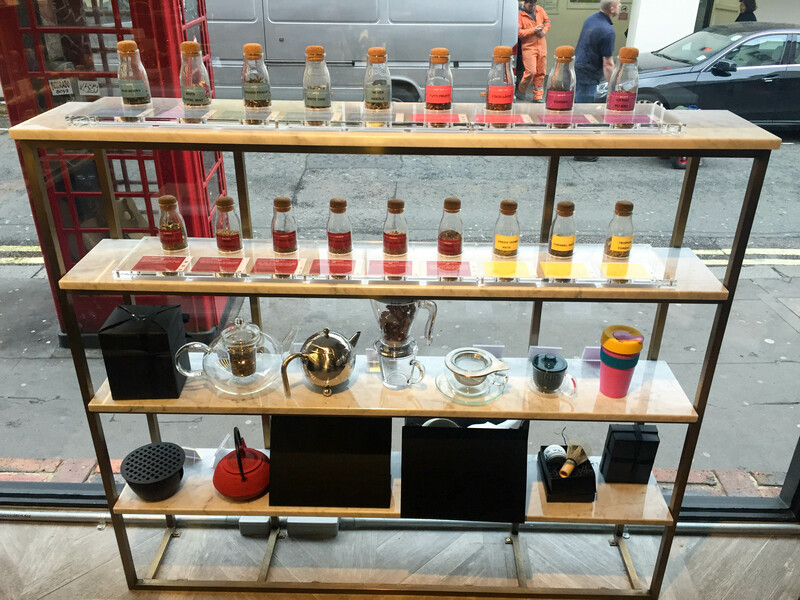 Tasting stations and tea tasters are widely on hand to help you pick your choice. 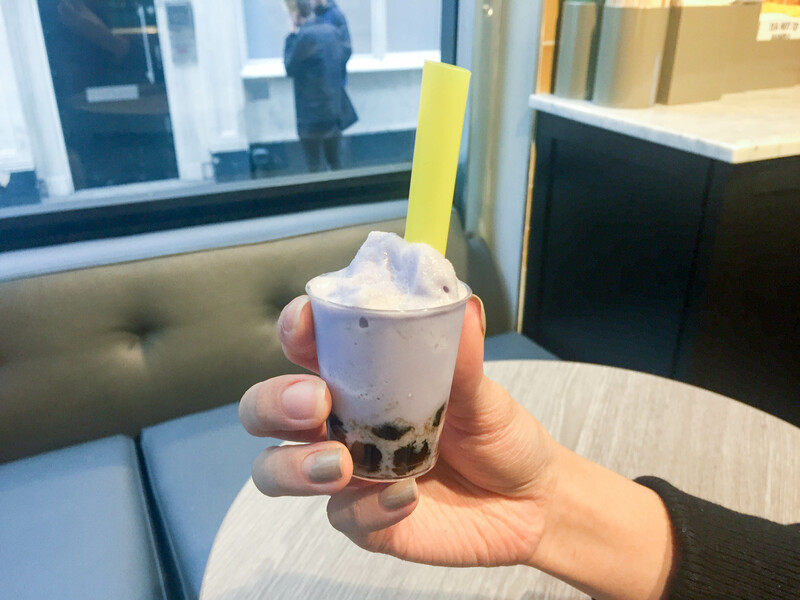 Priced competitively at £3.95, Amanzi offers flavours which differ from your usual Chatime, Vanilla, Cherry, Lychee and Passion Fruit caught my eye, along with fresh tapioca. 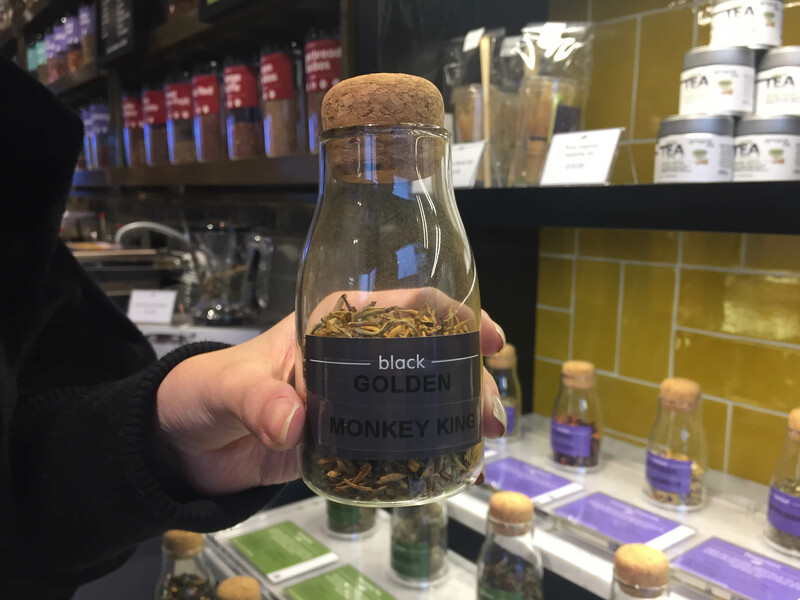 Albeit a small range, it’s pretty impressive for one a tea specialist to offer signature drinks from Taiwan! Per my previous comments, Amanzi has a matcha bar available which can also be ordered as a frappe. 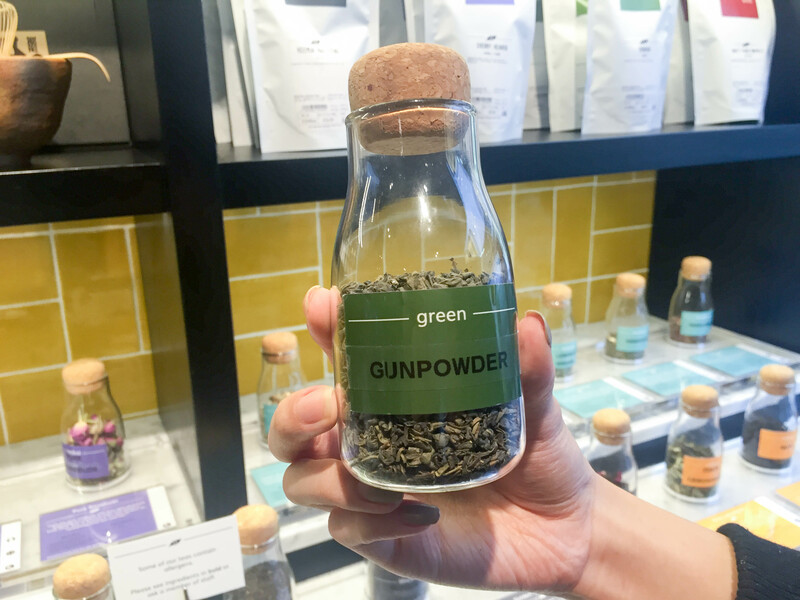 Brewer Street is well known for its Japanese restaurants and Chinatown is just a stones throw away, the addition of the matcha bar at Amanzi proves popular for its Asian locals. 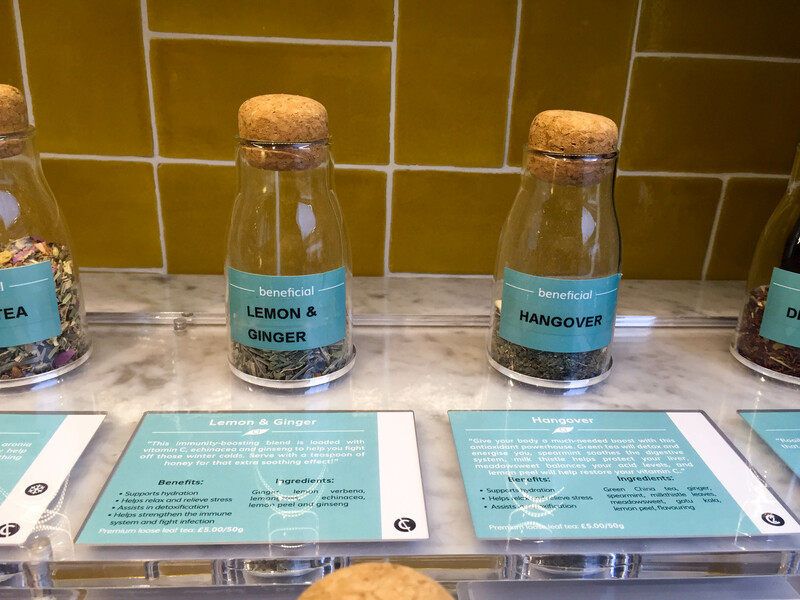 Beneficial blends such as Immuni-Tea, Detox and Hangover are some of the most popular on the menu. What is great about Amanzi is the description of each tea it gives you,the benefits and ingredients are also listed out. Great transparency here. 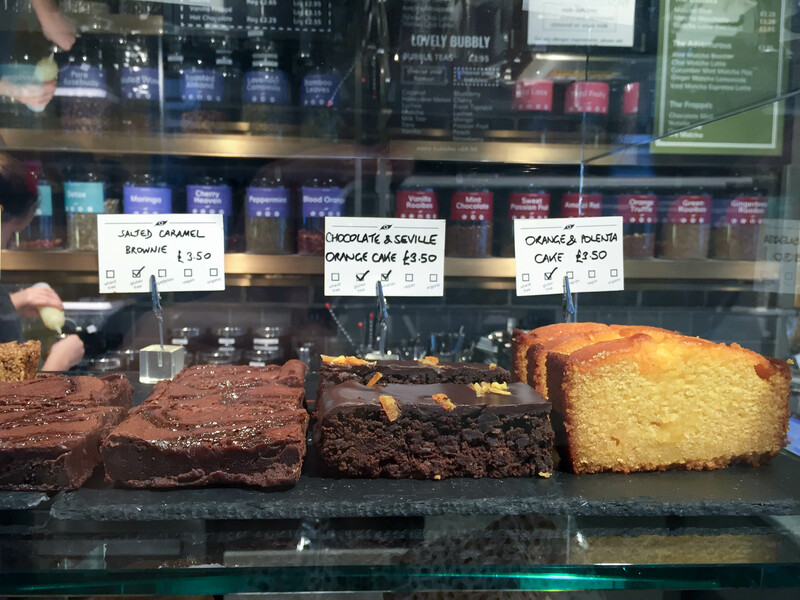 An array of colours – all organic though! 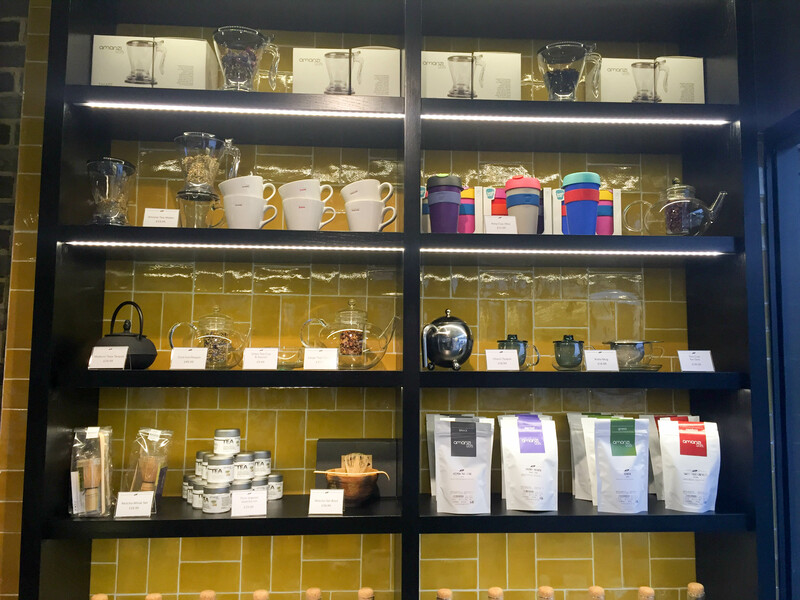 We had a selection of fine teas such as Gyokuro (Japanese), Jasmine Pearl (Chinese) and Cinnamon Spice (Indian). Gyokuro is a Japanese rarity of the top class. The tea gardens are covered with bamboo mats two weeks before plucking. The liquor has a deep green flavor with a hint of sweetness. This was one of my favourite teas of the day, sweet yet bitter at the same time. Enjoyed it hot. 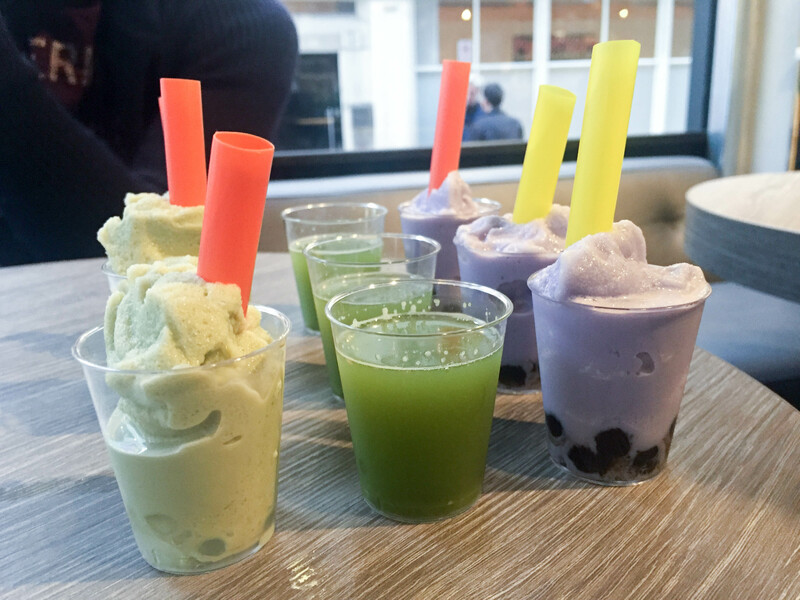 We had the Matcha ginger lemonade, Green Dragon Bubble Tea with lychee popping bubbles, and Taro bubble tea. Matcha Ginger lemonade is a virgin cocktail shaken with pure matcha, fresh lemon, ginger and agave. Served over ice. A very refreshing drink and great to quench your thirst. 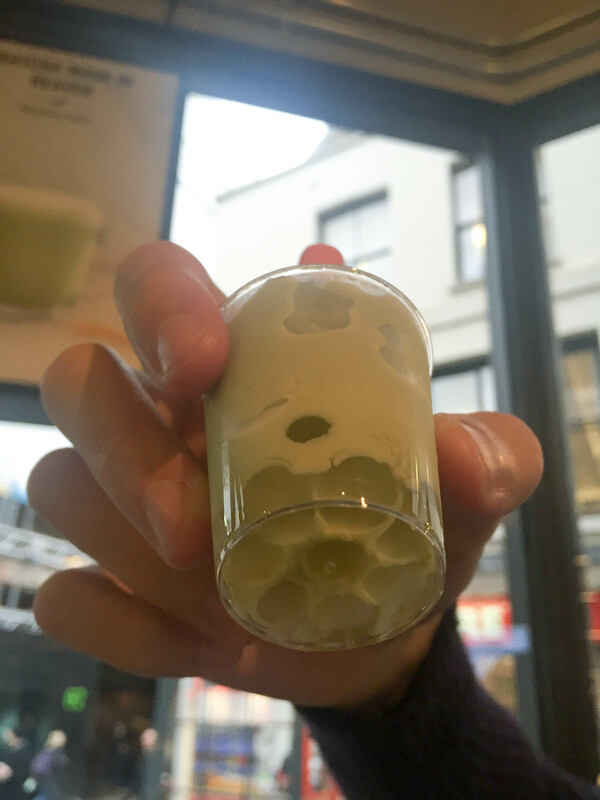 Green Dragon Bubble Tea is based on matcha green tea, blended and served with customised bubbles – we chose the lychee ones. The lychee popping bubbles came as a surprise, full of flavour and aromatic. All the fruit bubbles are filled with various kinds of fruit juice and burst in your mouth when consumed. Taro is a starchy edible tropical Asian fruit eaten worldwide. Tapioca pearls are made from the starch from the cassava root and are cooked fresh daily. I can never resist Taro! Steph, this place looks fab! Must check it out! What drinks do you recommend? !